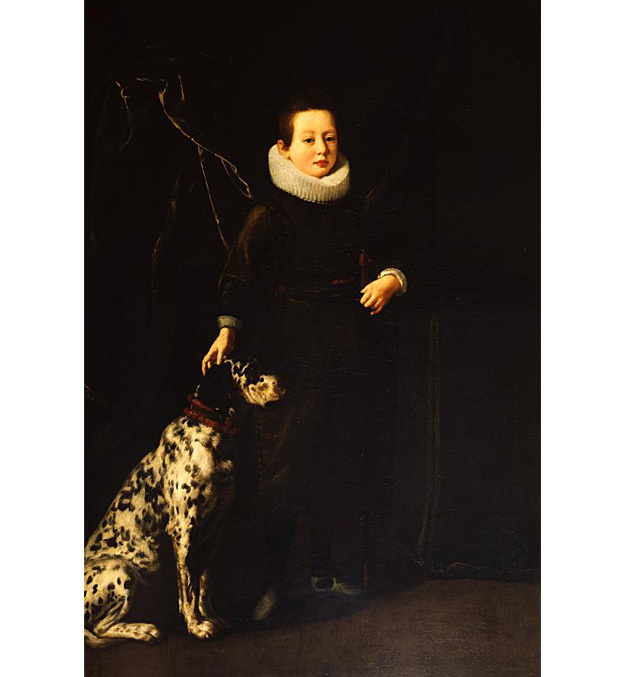 Portrait of Young Francesco de’ Medici (1594- 1614) by Justus Sustermans (Anversa 1597- Firenze 1681) shows him at seven with a dog. Oil on canvas, cm. 175 x 119. From the “Aulic Series” of over 40 Medicean portraits. This portrait belongs to the series painted starting from 1622 by Sustermans, the Flemish Medici court painter, who made individual portraits of the children of Cosimo II. Francesco is portrayed, in dark tones, with his rapier, alluding to his future military career, short and undistinguished for his premature death.